For the Converse EMEA Fall ’09 international TIER 1 press preview, I got to do the creative implementation and event production. 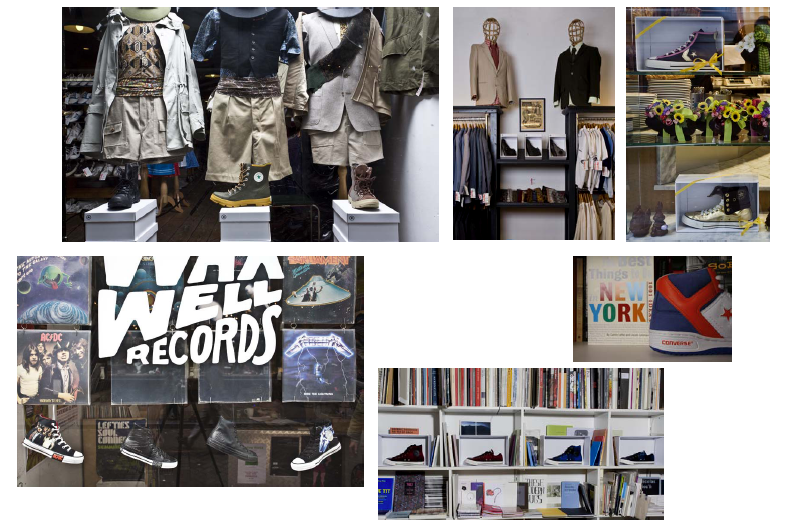 The idea was to not create a slick top-down and corporate controlled brand-experience, but to fully integrate in reality by planting a selection of new Converse styles in matching authentic stores in Amsterdam’s famous shopping district ‘the 9 little streets’. Apart from selecting the perfect stores, including an eco friendly butcher, a chocolat heaven and an extremely indie-minded art book store, charming them into participating and negotiating display options and treats for our guests, I was mainly concerned with all the art work and, naturally, the neccessairy contextual story telling copy. 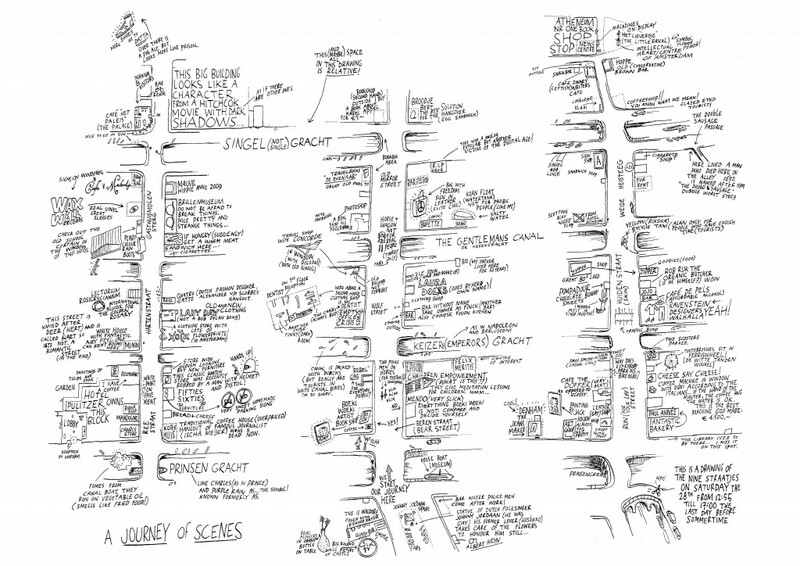 Dutch artist Jan Rothuizen agreed to draw us one of his amazing ‘soft maps’ (see PDF) intergrating his highly original notes on this part of the city with our surprise Converse destinations. Local graphic artists Matthias Kreutzer and Jens Schildt from Our Polite Society created the overall graphic identity, including guide book, goodie bag and in store materials based on the minimalist concept of a blank shoebox. On the day itself the artist Jan Rothuizen and myself joined the tour as local expert guides while Our Polite Society dj-ed during the evening programme, a job I gladly forwarded to Femke Dekker (My Little Underground).